© Laura Letinsky, Hardly More Than Ever. 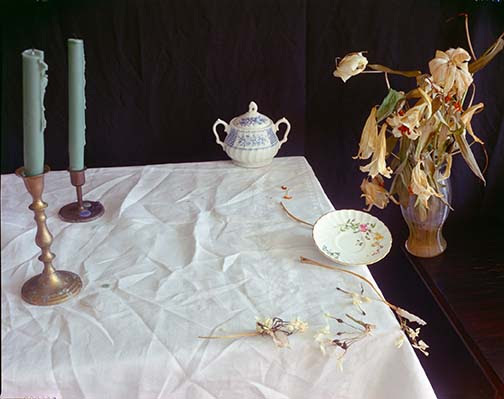 Participants will engage, as Norman Bryson writes in Looking at the Overlooked, “the conditions of creaturality, of eating and drinking and domestic life, with which still life is concerned” through discussion and making photographs that address the still life. Exploring the personal through photography will facilitate our consideration of who we are, how images affect our notions of self, and how images provide both expression of and limitation to communication, as well as strategies for questions and contestation.